Please read the following important notes in advance of registering. Advance payment and registration for this conference are essential – it will not be possible to register and pay on the day. Due to generous sponsorship from the Galway Cycle 2014 and the Hospital Saturday Fund the conference fee is only €15 per person, which includes lunch and other refreshments. You can register and pay for the conference online at or by completing a hardcopy registration form and posting it with the conference fee to PWSAI, Carmichael Centre, Carmichael House, North Brunswick Street, Dublin 7. Car parking is available at the hotel. The cost of this is not included in the conference registration fee. As the registration desk will be open all day you are welcome to come for as many or as few presentations as you wish. The registration desk will be found outside the main conference suite. For the benefit of both presenters and attendees, new arrivals will only be admitted to the conference room between presentations. 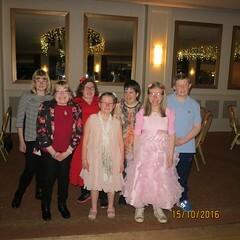 The first three presentations of the conference will focus specifically on issues of relevance to teenagers and adults with PWS. 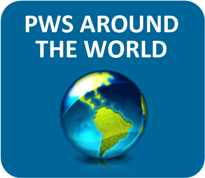 Parents and carers of babies or young children with PWS may prefer to join the conference after these sessions – i.e. to arrive in time for lunch at 12 noon. Lunch also provides a great opportunity to meet with other parents and the registration form allows parents of young children to indicate if they would like to be seated with other parents of young children at lunch. 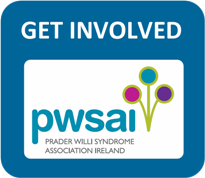 All adults who have an interest in Prader-Willi Syndrome are warmly invited to attend the conference. Unfortunately PWSAI is not in a position to offer childminding facilities on the day of the conference.